We recently sat down with Glenn Kelman, the president and CEO at Redfin. 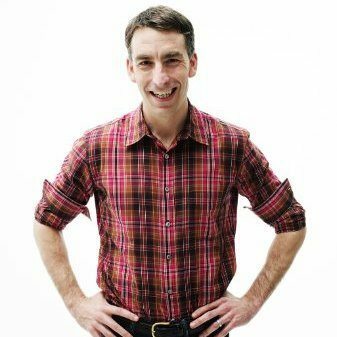 Prior to joining Redfin, he was a co-founder of Plumtree Software, a Sequoia-backed, publicly traded company that created the enterprise portal software market. Glenn was raised in Seattle and graduated from the University of California, Berkeley. He is a regular contributor to the Redfin blog and Twitter. Just that we do the most basic things very well, like showing up to a home tour or a listing consultation well prepared, and that we put our customers’ interests first. As businesses grow, we tend to serve ourselves instead of our original mission to help people and then lose our way. Redfin has to stay true to its calling. That we use the institutions we already have for working together to modernize how we share data, so that agents get a better deal when sharing their listings, and the industry makes it easier to schedule home tours, prepare offers and sell houses online. Brokers could make more money if we were all committed to labor-saving technologies. I delegate more strategic projects. For example, our chief technology officer, Bridget Frey, ran the process for setting Redfin’s goals this quarter. The leader of our Texas business, Jason Aleem, figured out how we wanted to improve our service this year, and how many agents we’d have to hire to do it. We’ve become more explicit in recognizing that the ability to resolve ambiguity is what separates an executive from, say, a project leader. Mostly, by hiring folks with a big motor. If someone wasn’t born that way, I won’t make her that way. Then you have to run the business by the numbers. It’s so easy to lie to yourself. If we didn’t agree on how to keep score in a game of Scrabble, everyone would say he or she won. Redfin has failed more than most brokerages, but we’ve been able to recover from those failures in part because everyone can immediately see a failure as such. I once heard a bank robber on a radio show talk about how he calmed himself before a heist. He’d pull the car over, and, his hands still shaking on the wheel, he’d remind himself that he was the perpetrator, not the victim. Then feeling calm again, he’d rob the bank. I don’t recommend robbing banks, but I think it’s easier to be the agent of change than to respond to change. Every major brokerage has something it can do better than any other, based on its market share, culture, local presence or technical abilities. How can you use that to be the perpetrator of change? One more analogy: as a soccer player, I used to try to trap a punted ball dead to my feet, so I could then decide what to do with it. If you’ve ever tried to absorb the energy of a ball kicked 50 yards through the air, you know this is impossible. Later I learned it was much easier to redirect it in the direction I wanted to go. It would carom 10 yards away from me, but because I was the one who kicked it, I was already running toward it. Change is the same way. You can’t stop it. You don’t even want to. Just channel it in your direction. Want to connect with Glenn? Find him here on LinkedIn.